You can set your iPhone to make the keyboard more compact, so you can compose messages without having the need to use both of your hands. 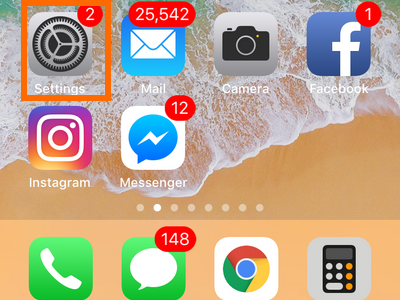 If your iPhone or iPad is running at least iOS 11.0, then you have the feature on your device. Learn how to use the one-handed keyboard on iPhone or iPad. The iPhone 8 has a screen dimension of 4.7 inches while the iPhone 8 Plus has 5.5 inches of screen. iPhones 7 and 6 have the same screen sizes. While they may not be the phones with the largest screens, they are part of the “larger-screened” spectrum – especially the Plus variants. Large screens have their distinct advantages such as more viewing space, and more data can fit on a single screen. Large screens, however, have their bad sides too. One of them is the difficulty in texting. Apple has initially addressed the issue through the accessibility feature called Reachability. Reachability makes your phone’s screen smaller so you can easily use your iPhone using one hand. If you want to try out the feature, you can check our step-by-step article on using iPhone with one hand using Reachability. The problem with Reachability is that the whole display becomes smaller defeating the purpose of getting a larger screen. If you want to compose messages using one hand without distorting your iPhone’s screen, then switching to a one-handed keyboard on iPhone is your best option. This article will discuss how to use iPhone’s One-Handed Keyboard. 1.Go to your phone’s Home screen. 2.From the Home screen, open any app that uses a keyboard. For this tutorial, open Messages. 3.Choose a conversation or tap on the Compose New Message icon. 4.If you are using the default iPhone keyboard, hold the emoji icon. If you are using a custom keyboard, tap on the globe icon. Both icons are next to the number key (123). 5.Tap on the left keyboard icon to position the one-handed keyboard to the left. Tap on the right keyboard icon to place the one-handed keyboard to the right. 6.You are now using the one-handed keyboard on iPhone. 1.Go to your Settings menu from your iPhone’s Home screen. 2.From Settings, tap on the General settings. 3.Scroll down to the lower part of the General page and tap on Keyboard. 4.From the Keyboard options, tap on One Handed Keyboard. 5.From the One Handed Keyboard options, select either Left or Right. The one-handed keyboard will be positioned based on your selection. 6.Open any app that uses the keyboard app to see that your keyboard has switched to one-handed. 1.Open any app that uses the keyboard app. 2.Compose a message so the one-handed keyboard will pop up. 3.Tap the left or right arrow icon located opposite from your one-handed keyboard position. 4.Alternatively, you can tap and hold on the emoji icon and choose the keyboard in the middle. 5.You have disabled the one-handed keyboard on iPhone. Q: Is this feature available to iPhone 6? I followed your tutorial, but the feature seems to be non-existent on my iPhone 6. How can I have the one-handed keyboard on my iPhone? 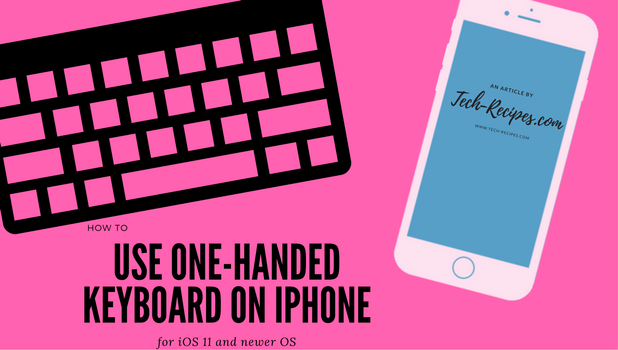 A: One-Handed Keyboard is only available for iPhones running iOS 11 and newer operating systems. If your iPhone 6 is on iOS 10 or older, update your iPhone to the latest available iOS. Q: I’m using a third-party keyboard. Is the one-handed feature available? A: Most popular third-party keyboards have updated their apps to support the feature. To enable one-handed on non-native keyboards, tap on the globe icon and choose the one-handed keyboard icon. Q: Can I use Reachability and one-handed keyboard at the same time? A: Reachability only makes your screen smaller but does not interfere with the iPhone’s function. You can use Reachability and the one-handed keyboard feature at the same time. Q: I prefer composing messages in landscape mode. I enabled one-handed keyboard in the Settings. When I tapped on the emoji icon, the one-handed keyboard icons are not available. However, when I switch to portrait, the icons will appear. Why is that happening? A: The One-Handed Keyboard feature on iPhone is disabled in landscape mode. This is because of the obvious reason that the landscape mode is meant to be used with two hands. There is no logical way that Apple can position a one-handed keyboard in landscape mode. You just learned how to use the one-handed keyboard on iPhone iOS 11. Some frequently asked questions were also answered. If you have questions with any of the information presented, let us know in the comments section below. We have picked these related articles which may interest you. Go over the list and see how they may help you use your iPhone better.